You know it when you see it. Your film hero in gravity-defying moves, defeating twenty opponents politely awaiting their turn to fight, jumping in a straight line from one moving vehicle to another. It’s Hollywood. You expect the art of the impossible to conquer the laws of physics and human nature and become real. It’s just entertainment. Sometimes you don’t know when you see it. You research self defence online and come across plausible techniques and tactics to be your own hero when the situation comes to call. The solutions appear believable and trustworthy. In the short clips, they impress you with the outcome. Well, maybe the attacker was a little static, he only tried to stab once… but it appeared to work… Right? Sadly, the truth is that you often come across self defence solutions in social media and club promotions that can at best limit your opportunity to defend yourself and others, at worst place you in even greater danger than doing nothing would have achieved. Why is this? Sometimes the exponent is simply not adequately qualified. He or she has maybe adapted techniques to their detriment. Maybe the promoter has not kept up to date as self defence develops itself as criminal psychology is better understood, new types of sociological or political threats arise or human biomechanics is more researched. This is why Spartans Academy of Krav Maga is different. We believe we need to understand how violent people think and act, how human biomechanics work in self defence, how a changing world produces new and different threats to us all. We believe all self defence techniques and tactics must always be tested against reality and veracity. Not fancy, not visually-pleasing. Just effective. Raw, realistic, reliable. This is why we operate in partnership with Protect Israel. They are a leading global security and training solution provider in counter-terror, law enforcement, military and security training, airline and maritime security and understanding of social and political violence around the world. Protect Israel is ran by leading personnel from the world’s top counter-terror unit, the Israeli ‘YAMAM’ and they specialise in battle-tested Krav Maga and close quarter combat and protection. Our partnership enables our students to receive direct training by Protect Israel and our instructors to be taught and accredited at source in Israel and in the U.K. We develop our Krav Maga techniques and tactics according to the decades of experience derived from the most specialised Special Forces unit in the world and the constant laboratory-method testing of Protect Israel. 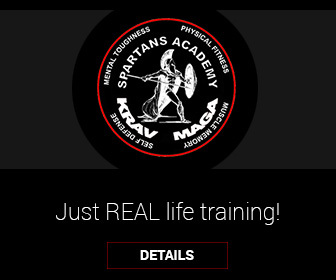 This is Spartans Academy of Krav Maga. We work in partnership with the best in the world for the benefits of our community of students. 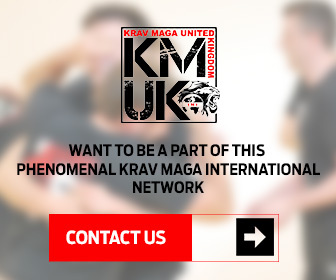 We extend our knowledge for free to any Krav Maga organisation in the UK through our free network Krav Maga United Kingdom. We see people, not profit. We are raw, realistic, reliable. This is our Krav Maga.